The guide to 100 iconic, can't miss hikes in Maine, New Hampshire, Vermont, Massachusetts, Rhode Island, and Connecticut. This 2019 wall calendar features a stunning new collection of White Mountains region images by well known Bethlehem, NH, photographer Christopher Whiton. First edition of this handy guide to the state's twelve remaining fire towers and six mountaintop observations towers. Follow Jennifer Pharr Davis as she attempts the fastest ever thru-hike of the famed Appalachian Trail. The inspiring story of one woman's quest to hike New Hampshire's highest peaks. Third edition of this bestselling hiking guide to Maine's mountain country. 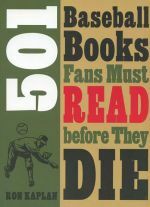 A fun guide to the best baseball books of all time. A collection of mountain adventures tall and true that explores the enduring mystery of why people climb mountains. 2010. Newest annual edition of mountain climbing accidents in North America. Published by the American Alpine Club. American Alpine Club's annual report on mountain climbing accidents from the previous year. The annual American Alpine Club publication detailing the year's most significant and teachable climbing accidents in North America. An interesting outdoor guide to the Adirondacks of upstate New York combining local lore with accurate trail descriptions. A unique kind of guidebook. A great new pocket-sized place names guide to Maine's Allagash Wilderness Waterway. Includes GPS coordinates to dozens of local landmarks. Fascinating, newly released photographic history of the Appalachian Trail in Maine. The American Alpine Club's annual compilation of the most important climbs and climbing feats opf the previous year. Published this year for the first time in full color.